Our solid wood Amish Shaker Hoosier Hutch is perfect for storing and protecting all of your delicate china and kitchen essentials. 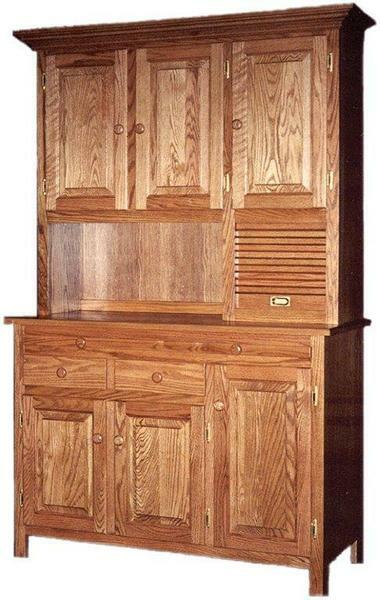 This hutch features dovetailed drawers, a roll up bread box, a slide-out serving tray on full extension slides, and traditional Amish craftsmanship. I just wanted to let your delivery team did a great job.